The Edit Websites Design area enables you to manage the look and feel of your ESP Website or Company Store. After logging into the ESP Website Admin, locate your site and then click on the Edit button. 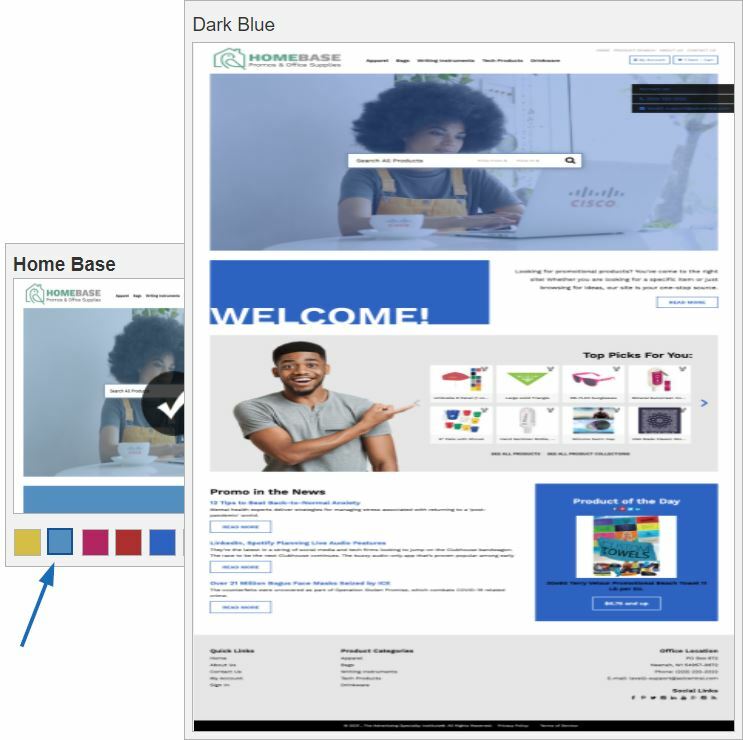 In the Templates and Colors section, you can browse through the library of templates, or you can filter the results using the Narrow Template Selection options. Use the dropdown in the Narrow Template Selection section to select the size of the logo you would like to have: All Sizes, Traditional or Large. Then, choose the template type: All or Industry. Industry template ensure that the content of your site, as well as the look and feel, relate directly to the trade you selected, such as Financial or Healthcare. Next, check the box next to video, social feed, Google map and left navigation for each feature you would like to have included on your site. Each template has preset color schemes available. To preview the template in any of the color schemes, hover over the color swatch. The template you have selected is indicated by a large check mark.There will be a square around the color you have selected. Large banner templates are available in the template listings. To preview the template in any of the color schemes, hover over the color swatch. You may want to change the banner images on these templates. Before changing the banner, make sure the image you are looking to replace it with is 1280 pixels wide. If it is, you are ready to customize your banner. In the My Site Logo area, you can upload a new logo or favorite icon for your site. What would you like to do? 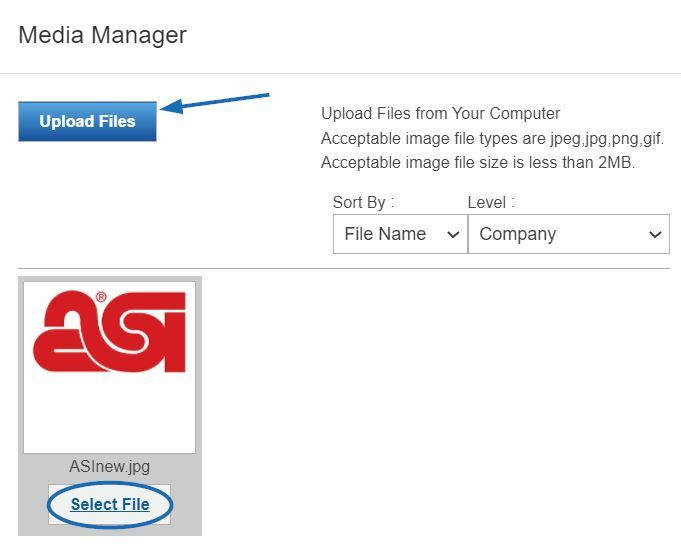 To upload a new logo for your ESP Website, click on the Browse button in the Upload Your Logo section. The Media Manager will open. To select an image, hover on the image and then click on the "Select File" button. Note: If the image you would like to use is not yet in the Media Manger, click on the "Upload Files" button and browse your computer for an image. You will see a preview of your image in the Logo Preview window. If you do not have a company logo, type your company name into the last field in this section. Just like with an image, a preview of your typeset logo will appear in the Logo Preview window. After saving your logo, you will see a pop-up notification that your changes have been saved. To make the logo live on your site, click on the Publish button in this window. If you are not ready to make the logo live, click on the Not Now button. You will be able to publish the logo at any time using the Make Changes Live link in the upper right area. A favicon is the image that appears to the left of the page title both in the tab bar that is displayed in many browsers as well as in the bookmarks when a site is saved. To customize this image for your ESP Website or Company Store, log into the ESP Websites Admin. Click on the Edit button next to the site for which you would like to add the favicon. 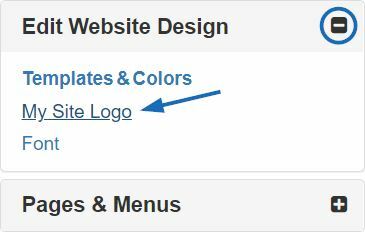 Expand the Edit Website Design section using the plus sign (“+”) and then click on the My Site Logo link. In the Upload Your Favorite Icon section, click on the Browse button to upload an image from your computer. Images must be in a .JPG or .JPEG and less than 2MB in size. Locate the image on your computer and then click on the Open button. A preview of the image will appear in the Preview box. Click on the Save button below the Preview box and then click on the Make Changes Live link. In the Font section, use the dropdown to select the font you would like to use on your site. After saving your font selection, you will see a pop-up notification that your changes have been saved. To make the font active on your site, click on the Publish button in this window. If you are not ready to make the font live, click on the Not Now button. You will be able to make your new font selection active at any time using the Make Changes Live link in the upper right area.